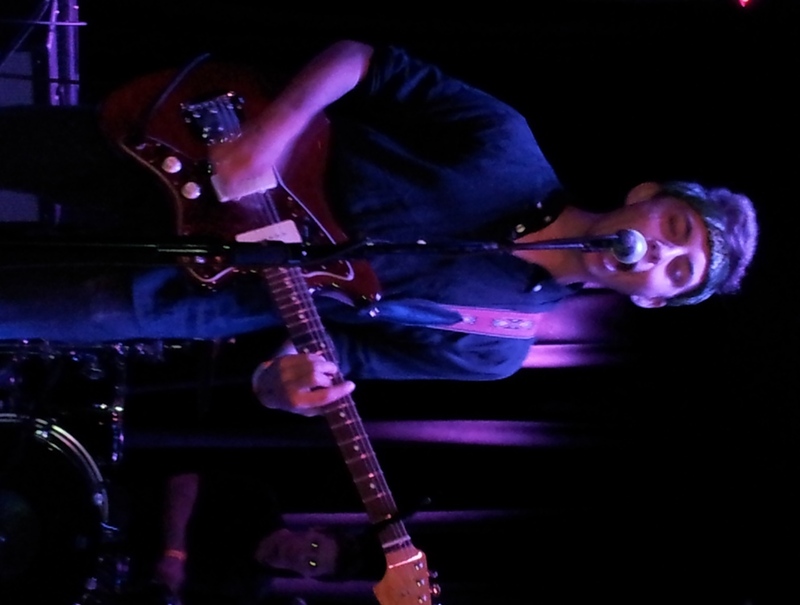 Matt Jaffe and the Distractions expand their LA audience at The Federal Bar in NoHo. By Patrick O’Heffernan, Host, Music FridayLive! 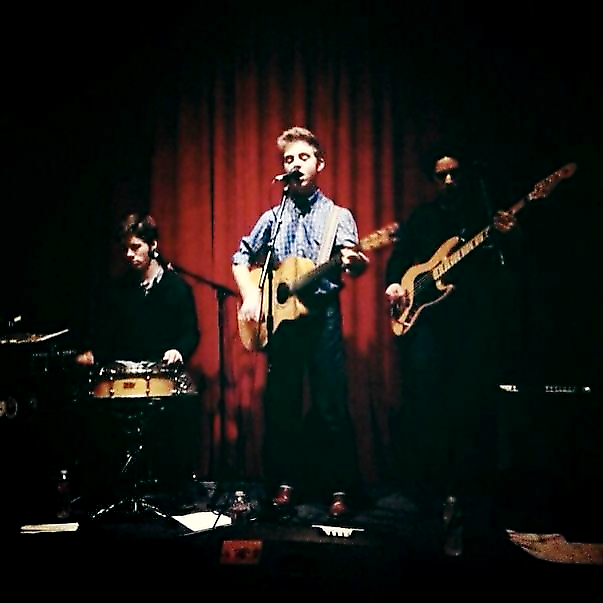 Matt Jaffe brought his high energy rock band The Distractions to North Hollywood’s Federal last night, energizing a respectable audience and demonstrating that he can play in larger venues in Los Angeles, the nation’s music capital. This was a return trip for the young new wave band, having previously opened for bands at The Central in Santa Monica and the venerable, if smaller, The Mint. The young (he just finished his first year at Yale) northern California-raised guitarist and his band mates drummer Alex Coltharp and bassist Sammie Fischer have mastered the high-spirited sound that he shifted to when he exchanged the acoustic music of his high school days for an electric guitar. With songwriting that shimmers with the best of the hard rock groups in the Southland clubs these days, Matt led his bandmates in nine new songs that showed how he has moved far beyond the slick blend-into-the-background pop music that surrounds us. And his lyrics always give us something to think about. I suspect the audience would have been much larger if the Federal had been an all-ages club – no one Matt’s age was allowed in, although some tried. The set was more geared to a young audience, almost exclusively featuring high energy new wave rock and rambunctious stage dancing, leaving out some of the group’s more complex songs and the exquisite guitar solos that Matt is capable of. However, the major appeal of The Distractions may be Matt himself: “He’s so cute!” exclaimed a barely 21-year old tattooed Latina sitting with her head-bobbing friends in a booth as the group rocked through “Overboard”. But his charm is far more than cute; his voice is distinctive – there is nothing like it in the hard rock world. And his guitar-playing is superb – grounded in years of classical training that makes the instrument an extension of his body and his mind. That was evident to ex-Talking Head member Jerry Harrison who was so impressed with Jaffe’s guitar playing and overall talent at a local open mic evening that he offered to produce Matt’s music. Matt’s set list at The Federal was a wise choice – new songs. While regular fans may have missed his standards “Backs of our Eyelids”, “Armistice Day” and “New Continent”, he chose to play his latest works. He was likely testing them before going into the studio in Berkeley next week with Jerry Harrison who has drafted Steve Ferrone (Tom Petty) on drums and Nathan East on bass to produce Matt’s first full album. Although new, each song was tight, from the kick off songs like “Write and Song “ and “Summer” to the wrap up tunes “No Hesitation” and “Chore”. Each was structured around Matt’s penetrating song-writing and the impressive choreography of the band – never missing a beat either in the music or in their stage presence. While the family home is in Marin country, north of the Golden Gate, and Matt is currently based at Yale University where he juggles studies and music – with music being his self-proclaimed first priority. He is wise to build an audience in Southern California where clubs proliferate and opportunities to grow abound. This will serve him well when he releases his debut album – as yet untitled. What else will serve his well is the large inventory of songs he has built up in the few short years he has been playing rock. Last night we heard nine new songs – enough for an album if he wanted to stop there. But he won’t. 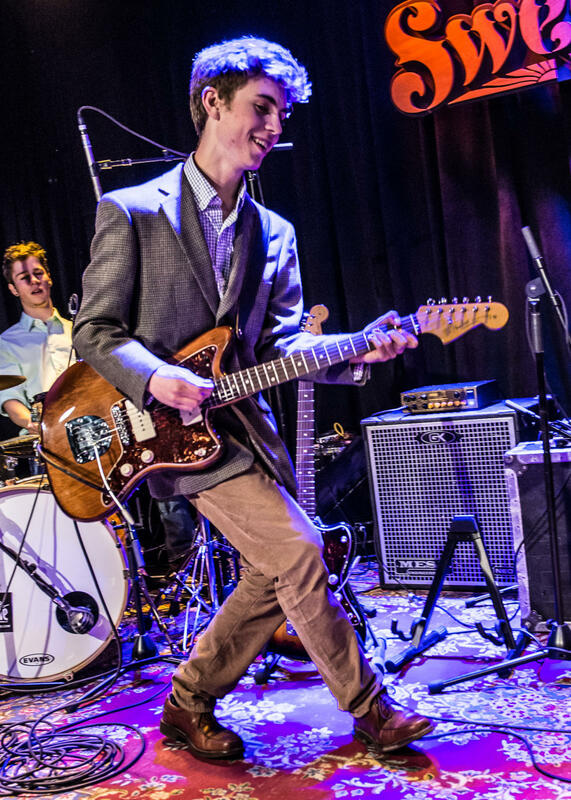 In addition to the songs in his inventory like “Stoned on Easter”, “England Prevails”, “My Avalanche” and of course “Backs of Our Eyelids”, which have helped build his career, Matt Jaffe has an arsenal of tunes to choose from for the album and the strategic smarts to carefully ration out the best so we will want more. And we will. Patrick O’Heffernan, Host, Music FridayLive!